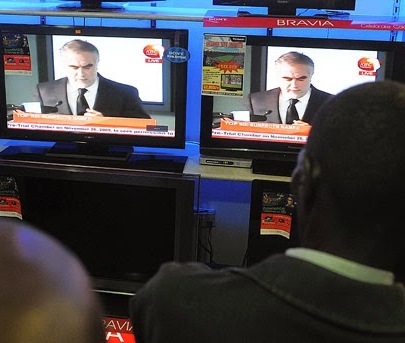 Kenyans watch former ICC prosecutor Luis Moreno Ocampo through a shop window. At a meeting in The Hague earlier this month, civil society called for a bolstering of the ICC’s critically important communications efforts as it moves to a new, politically-charged phase of its existence. NGO representatives joined governments, Court officials and other stakeholders for a roundtable discussion on improving ICC communications strategies in the context of The Hague Working Group of the Assembly of States Parties—the ICC’s governing body. The following is a modified version of thestatement of Coalition’s Team on Communications at the roundtable. The ICC has achieved substantial progress in its communications activities over the past years, to which the ASP and states parties have attached great importance. The Court’s public information and outreach activities have strong mandates in ICC legal documents, and are crucial to the successful implementation of a range of Court policies, strategies and operations. Judges have also highlighted outreach as crucial to enabling victims to participate in the trial and reparations phases of the Court’s proceedings. However, a continuing overstretch in the limited resources available for communications activities has hampered the Court’s ability to achieve full impact. At present, neither the Registry’s Publication Information and Documentation Section (PIDS) nor the Office of the Prosecutor (OTP) have sufficient resources to communicate in preliminary examinations or immediately when a new situation is opened. This is despite the recognized importance of starting communications as earlier as possible to prevent misconceptions and misrepresentations taking hold. The PIDS, responsible for the Court’s outreach programs to victims and affected communities, continues to be forced to focus primarily on cases at trial phase, while rotating resources from situation to situation. Because of this, crucial opportunities to reinforce the positive impact of Court the have been lost. While resources of course must be used as efficiently as possible, states parties need to encourage the ICC to outline the resources it requires to achieve maximum impact, and to support these needs through the Court’s annual budget. At the yearly ICC-NGO roundtable meetings last June, ICC officials indicated they had taken on board civil society’s concerns that the Court needed to adopt a more proactive and coordinated strategic approach to communications. There have since been some tangible improvements in the Court’s communications—internal working groups and daily video summaries of proceedings in the Kenya situation, for example. The PIDS is also currently assessing lessons learned for the first years of its outreach with victims and affected communities. These new approaches—including the use of digital tools—must continue to be developed and codified in updated strategies. As a new institution, the communication of basic information has been a necessary key element of the Court’s first years. While this need is still very much a reality, the political context in which the Court is operating has become ever-more prominent as its judicial processes have begun to have an impact. A restructuring project currently underway at the Registry, along with the scheduled updating of strategies, offers an invaluable opportunity for the Court to redefine its communication priorities and equip itself to meet the challenges—including political—that will no doubt emerge during the next phase of its existence. States need to play a greater role in complementing the work of the Court by convening seminars or other public fora to increase awareness of the ICC’s mandate, activities and jurisprudence in countries around the world where it does not have a presence. Governments should also take greater steps to mainstream expressions of support for the ICC, universality and complementarity, the rights and needs of victims and gender justice, in a wide range of state resolutions and statements. 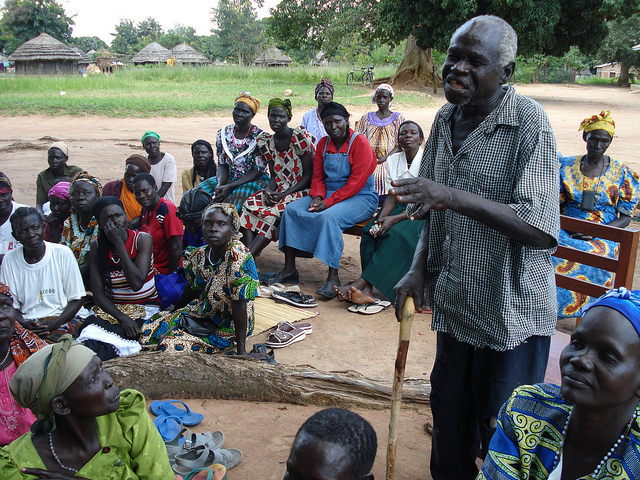 Have your say – how do you think the ICC can improve its communications activities?